Hyderabad is tourism innovation with constant improvements to its leading attractions, surrounded by the Buddhist circuit and many more attractions as a rainbow state having everything. 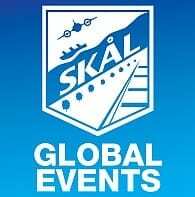 ​This great congress will be done by Skål International India and team Skål International Hyderabad. Please join us at the 78th World Congress in 2017 in Hyderabad 5th to 9th October 2017 . We look forward to seeing you in Hyderabad.